In an interview with Russia's TASS, Indonesia's Ambassador to Russia Mohamad Wahid Supriyadi confirmed that the Sukhoi Su-35 fighters ordered from Russia may be delivered starting 2019. The ambassador also confirmed that the agreement for the purchase of the twin-engined fighters were already signed, and that delays happened due to the scheme to implement the deal is new to them, as it involves counter-trade for Indonesian agricultural products. Upon asking about the pressure from the US government regarding the Countering America's Adversaries Through Sanctions Act (CAATSA) policy, the ambassador confirmed that Indonesia did get pressured, although it is a matter of national interests that prompted them to proceed with the deal. Russia's Deputy Director for Federal Service for Military-Technical Cooperation Mikhail Petukhov also believes that threats of sanctions or issues on politics won't affect the delivery of the Sukhoi Su-35 fighters to Indonesia. 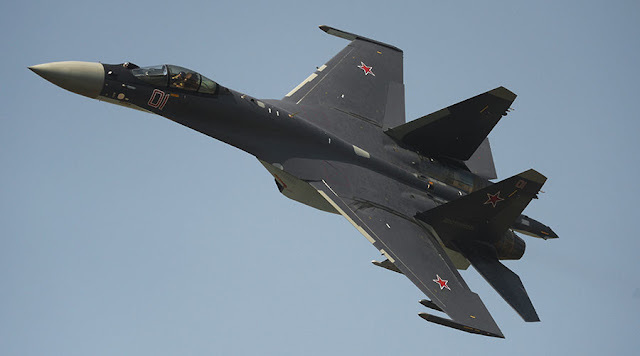 As part of the deal, Russia will supply 11 brand new Sukhoi Su-35 "Flanker E" fighters to Indonesia Russia and Indonesia are also expected to be involved in other defense and technical cooperation deals in the future.